The Glass Menagerie is a 50-voice community chorus based in Greenwich Village. We've been making music together since 1984. We rehearse on Thursday evenings during the academic year at LREI (Little Red School House/Elisabeth Irwin High School), 272 Sixth Avenue at Bleecker Street, New York, NY 10014. Our regularly scheduled concerts take place in December and May. We celebrate Earth’s precious resource, Water, with The Miracle of the Spring, a suite of five poems by Charles Bennett, scored for chorus and percussion by British composer Bob Chilcott. Additional highlights include Samuel Barber's To Be Sung on the Water, Edward Elgar's The Shower, and favorites such as Deep River, Take Me to the Water, and Shenandoah. For five consecutive nights in October (3–7) 2018, 1,000 singers from across New York City, including members of The Glass Menagerie, came together on the High Line for the first-ever performances of The Mile-Long Opera: a biography of 7 o’clock. Audience members were active participants in this ambitious, collective, free choral work. Audience members walked along the park, moving in and out of groups of singers, immersing themselves in hundreds of stories, inspired by the accounts of a wide range of New Yorkers, about life in our rapidly changing city. 7 o'clock means something different for everyone. What does it mean to you? 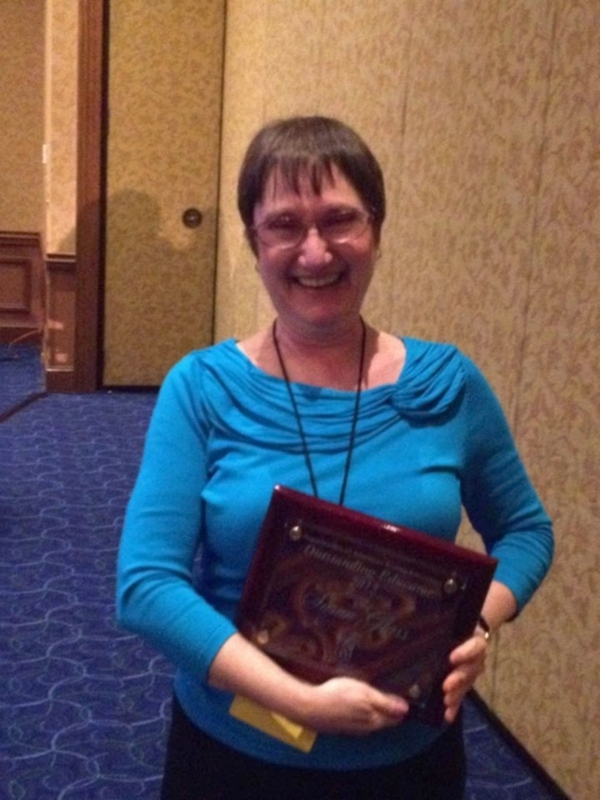 Dr. Susan Glass is the 2015 recipient of the Organization of American Kodály Educators' Outstanding Educator award! Check out the New York Times’ interview with our Artistic Director Susan Glass. The occasion was our March 4, 2015, appearance in THE EVENTS, an innovative theater production by Scottish playwright David Greig, at New York Theatre Workshop. May 3, 2014: The Glass Menagerie Receiving The council of New York city proclamation marking the celebration of our 30th anniversary. More than 30 years of singing! In May 2014 we received a Proclamation from the New York City Council marking our 30th anniversary making music together in Greenwich Village. We welcome qualified singers! Click on the button below to sign up for an audition. Help support our chorus by making a tax-deductible contribution. Join our mailing list to receive concert announcements, news, and updates. We respect your privacy. We will never share your address with third parties.